This bulletin is current as of June 2018. 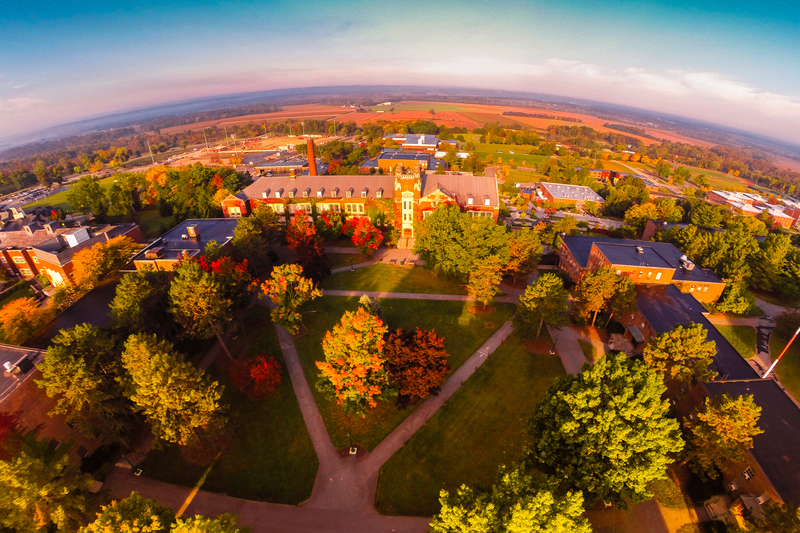 The State University of New York College at Geneseo reserves the right to make changes in policies, requirements, and regulations as conditions change and such revisions are necessary subsequent to the bulletin’s publication. This bulletin describes all current undergraduate programs of the College. For graduate program information, see the most recent Guide to Graduate Studies. This is the official undergraduate bulletin of record. The College is accredited by the Commission on Higher Education of the Middle States Association of Colleges and Schools. Our academic programs have been approved and registered by the New York State Education Department. Other accreditations or certifications include those from the American Chemical Society, the Association to Advance Collegiate Schools of Business, and the National Council for Accreditation of Teacher Education. This edition of the Undergraduate Bulletin covers undergraduate programs for the 2018-19 academic year. Information in it is accurate as of June 2018. To maintain the integrity of the SUNY Geneseo Undergraduate Bulletin, links to program updates will be documented separately, between catalog publications. SUNY Geneseo reserves the right to make changes in policy and regulations, and its faculty reserves the right to change course content, course availability, and program requirements, as circumstances dictate. The final authority on such matters is the Provost & Vice President for Academic Affairs, whose designee shall serve as resource person should questions arise about changes. The Assistant Provost for Curriculum and Assessment, the Provost’s designee, is located on the second floor of Erwin Hall, 585-245-5531. All bulletins © 2019 SUNY Geneseo. Powered by the Acalog™ Academic Catalog Management System™ (ACMS™).